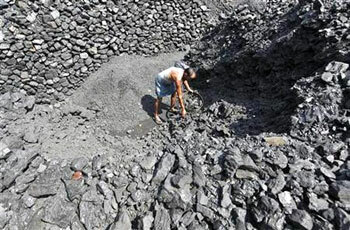 Irked by the government's 10% stake sale in Coal India Ltd (CIL), trade unions have warned of a 'non-cooperation drive' to protest against the disinvestment and other issues. Nearly five lakh coal workers went on a strike last month after five major trade unions, including BJP-backed Bharatiya Mazdoor Sangh, gave a call for the biggest ever industrial action in four decades against what they called attempts for "disinvestment in Coal India and denationalisation of coal mining". Coal workers, however, called off their nationwide strike after two days following the government intervention and assurances that their interest would be safeguarded and a committee was proposed to be set up to look into the issues. Subsequently, the government sold 10% stake in CIL on Friday to raise Rs 22,577 crore (Rs 225.77 billion) in the biggest-ever disinvestment, even as some trade unions held symbolic demonstrations on that day against the move. Zama said the government had assured the trade unions about setting up of a committee under the chairmanship of joint secretary, with representatives from the unions, to look into the demands of the workers. "However, the committee was not immediately formed and in was only a day or two back that we were informed that the committee has been formed and the first meeting of the panel is on February 16," Zama said. Prize money too tempting to ignore!